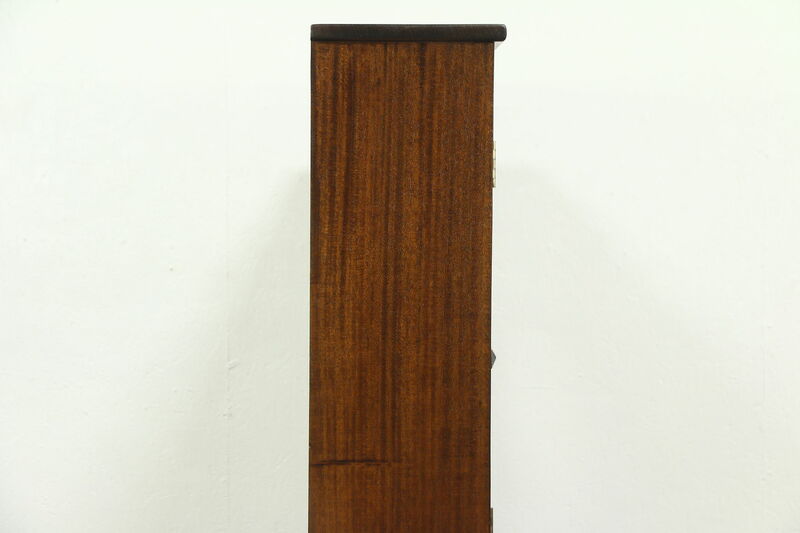 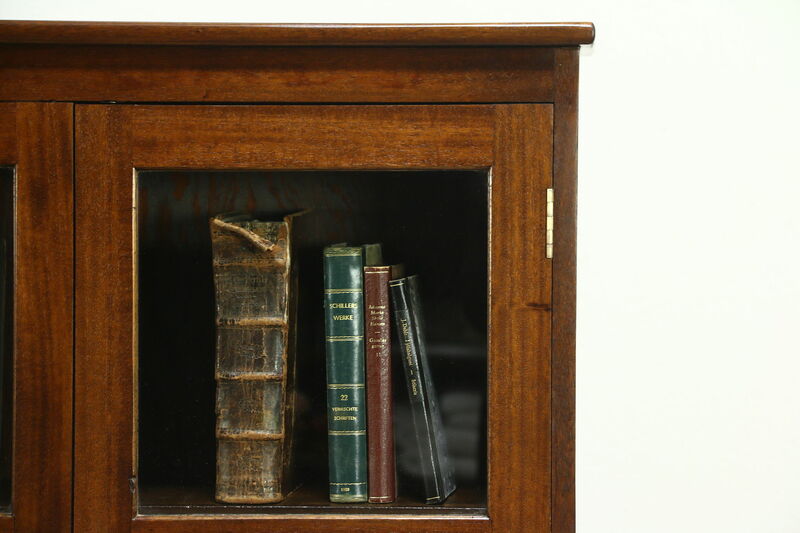 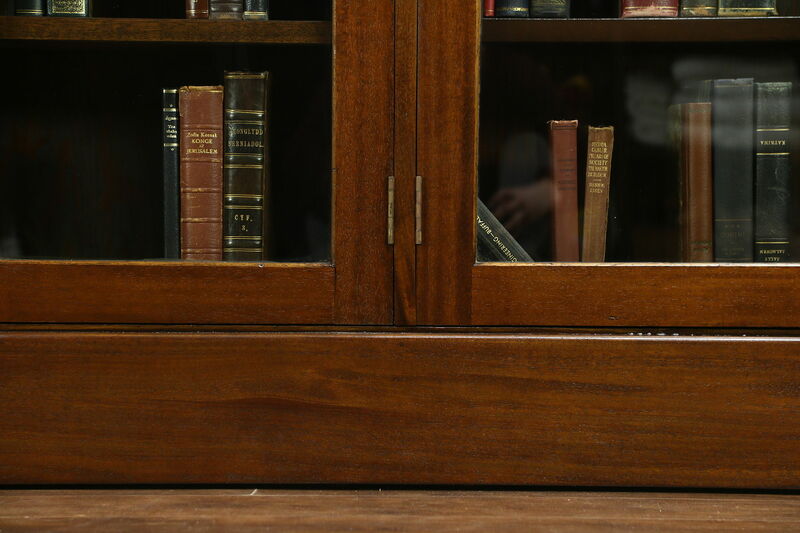 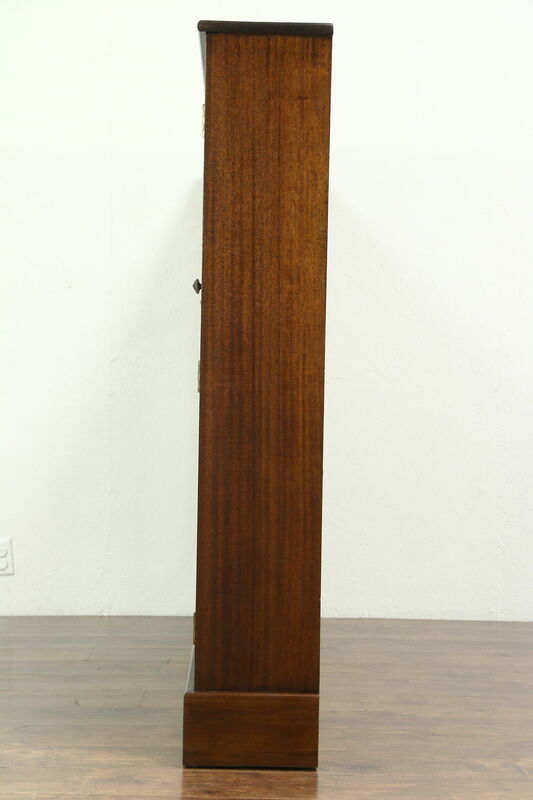 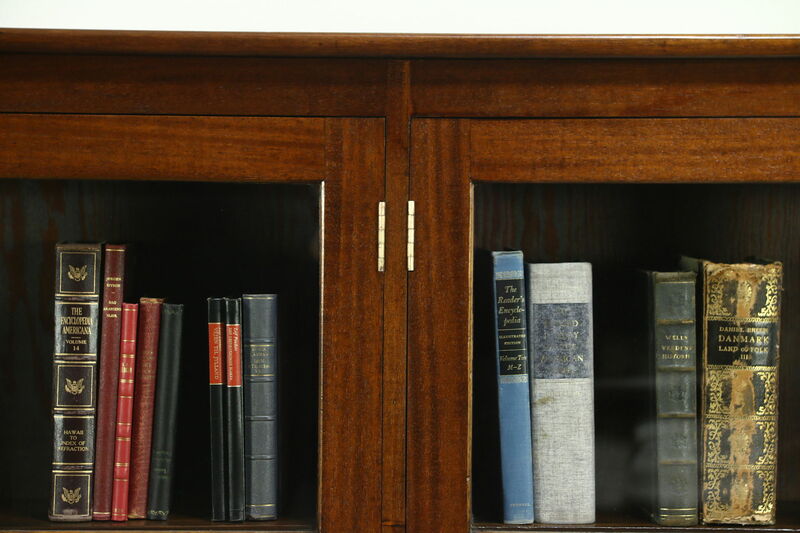 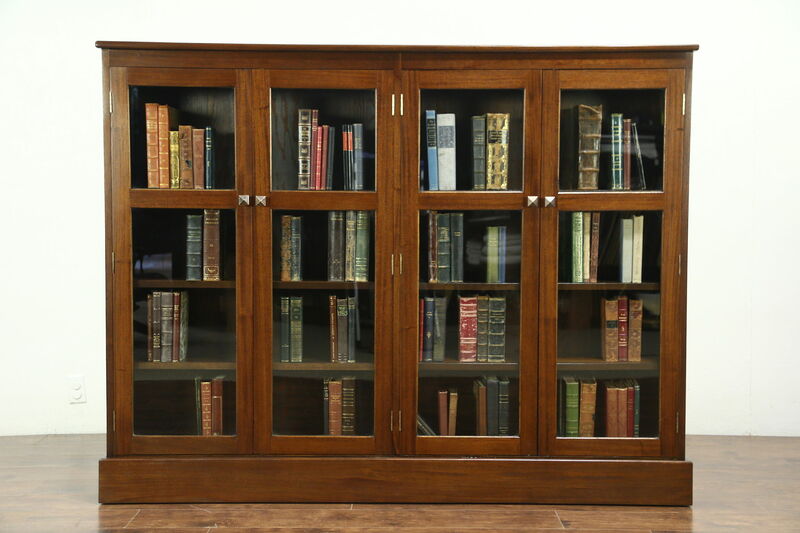 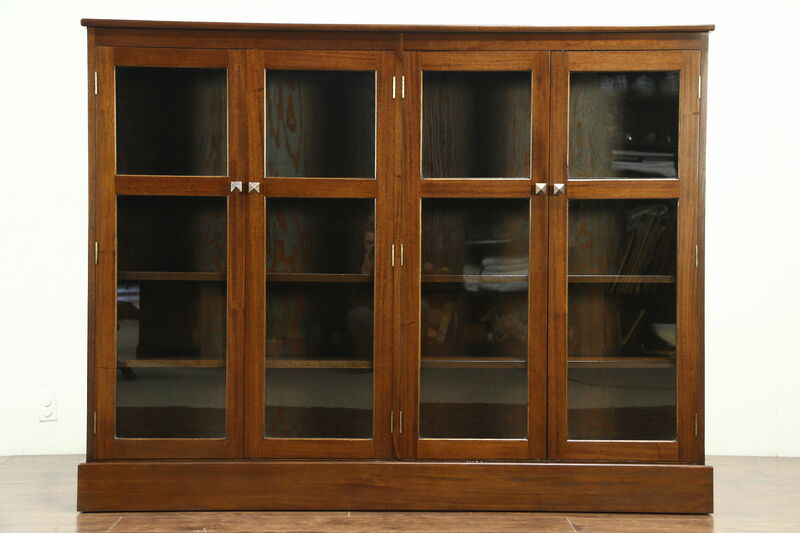 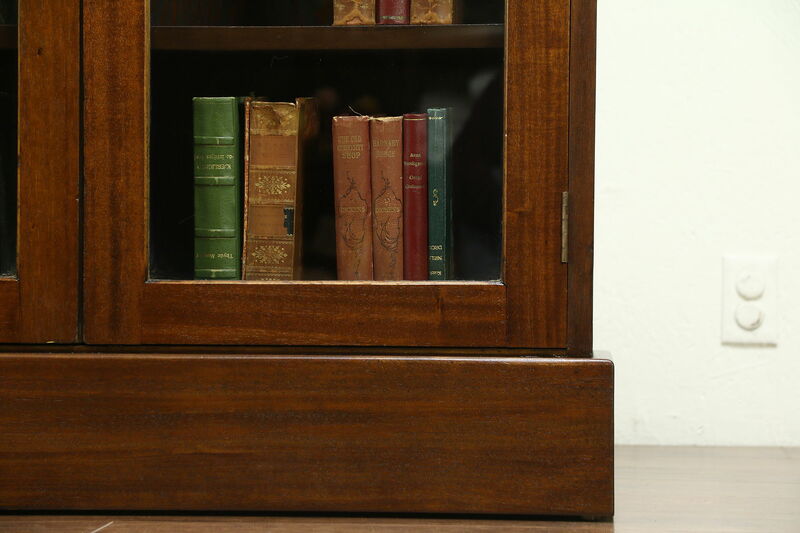 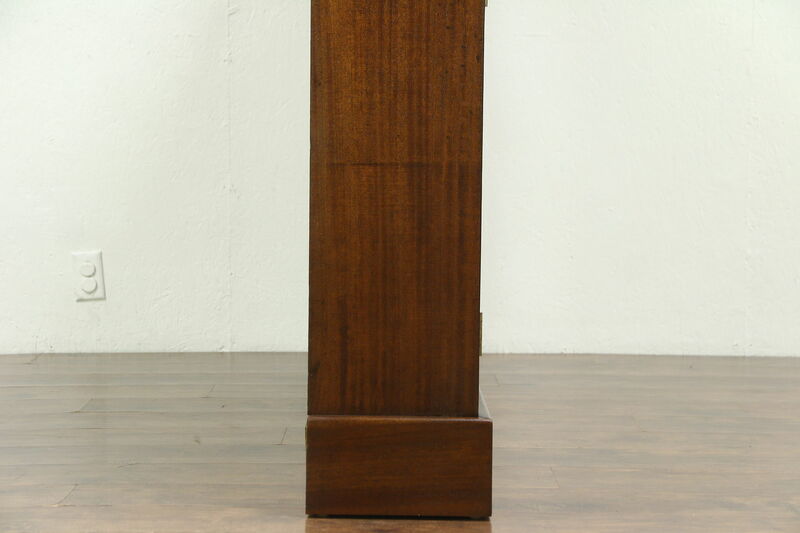 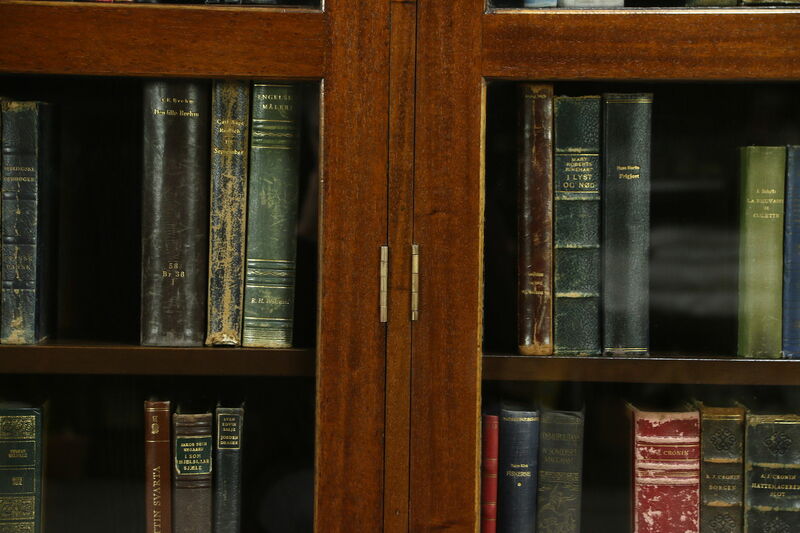 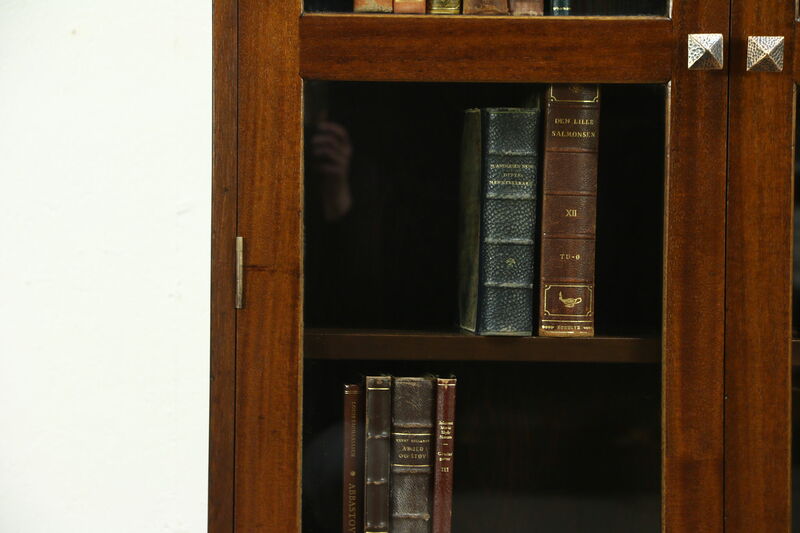 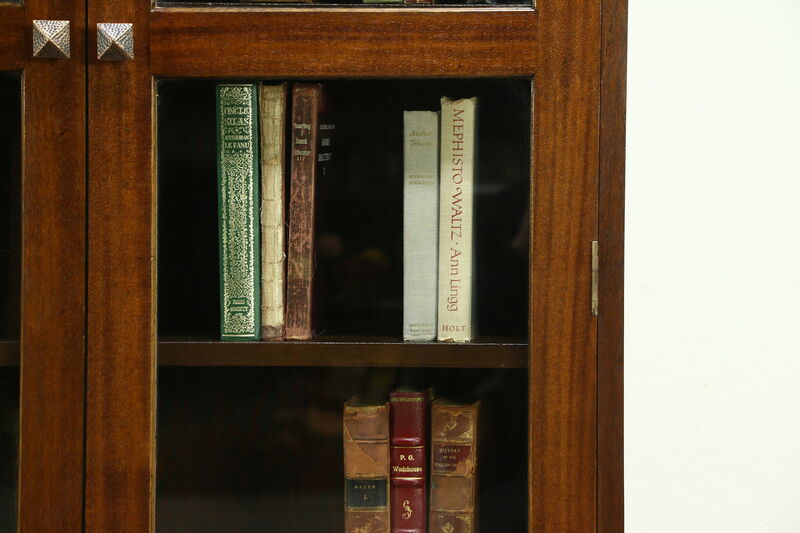 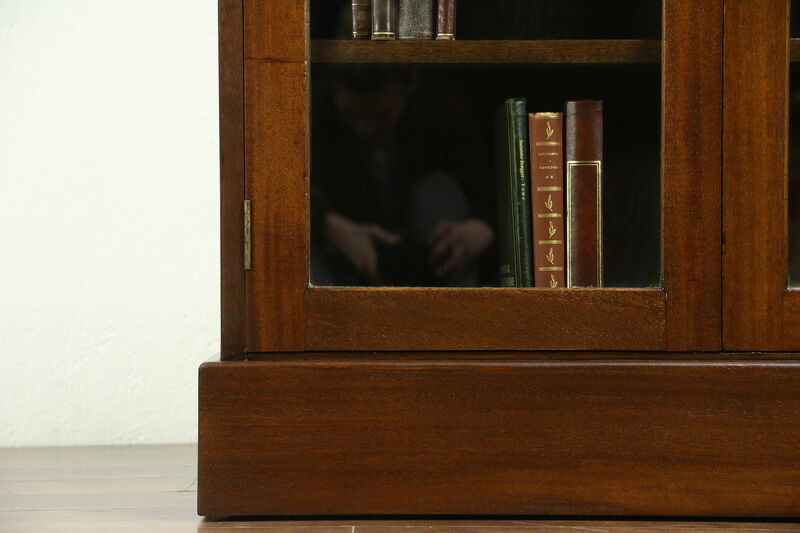 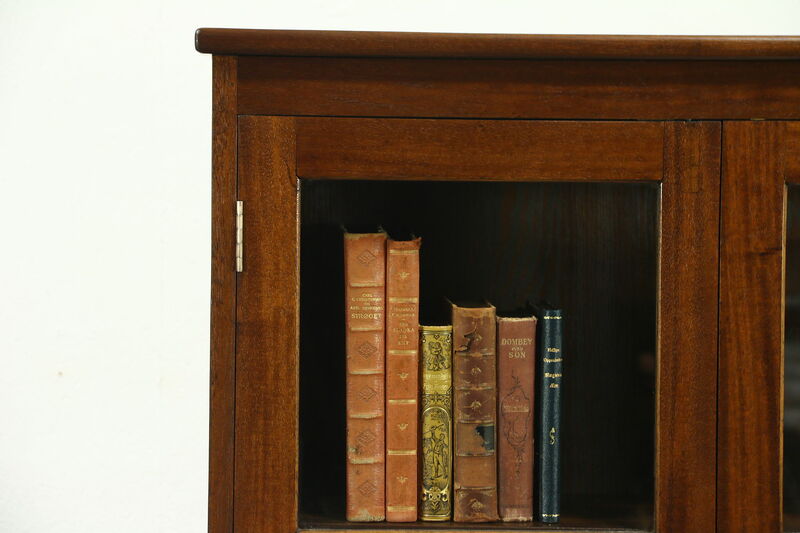 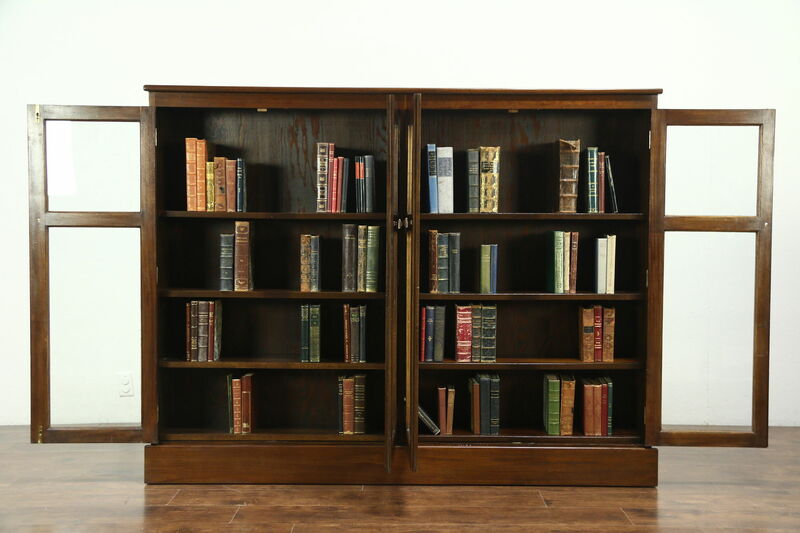 A 1930's vintage solid mahogany bookcase has four doors and adjustable shelves. 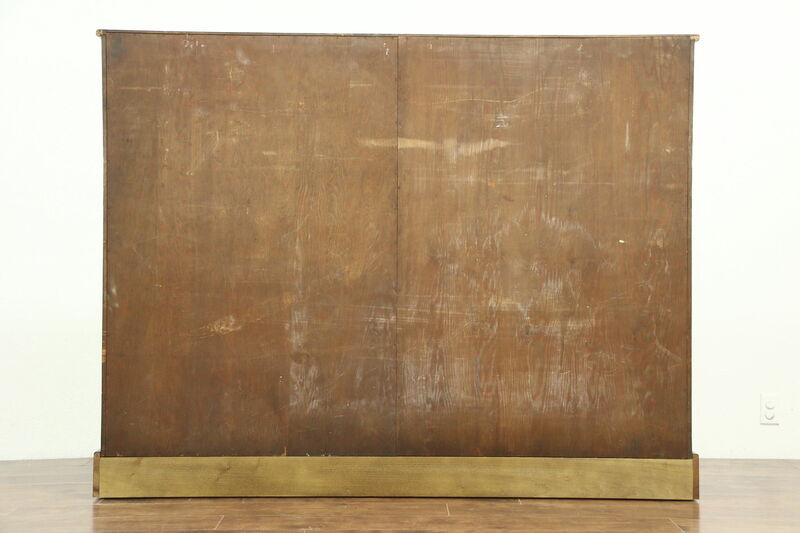 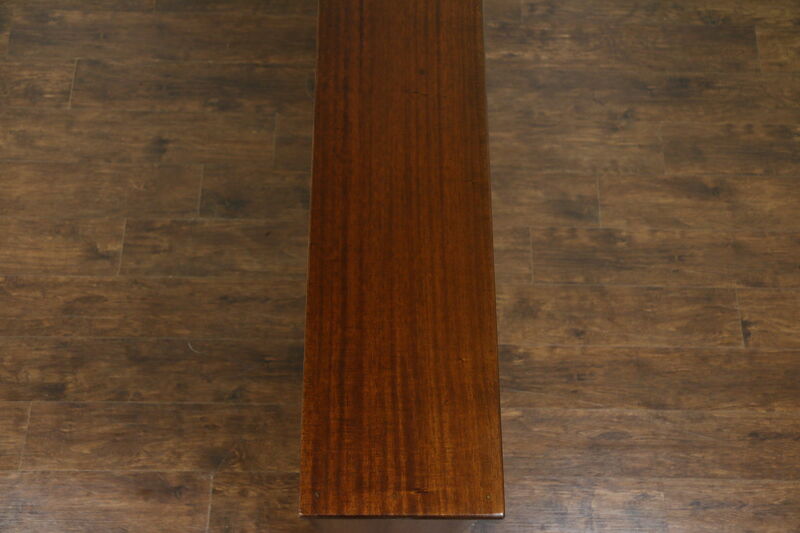 The restored shimmering finish is in excellent condition, preserving a few mars for a little antique character. 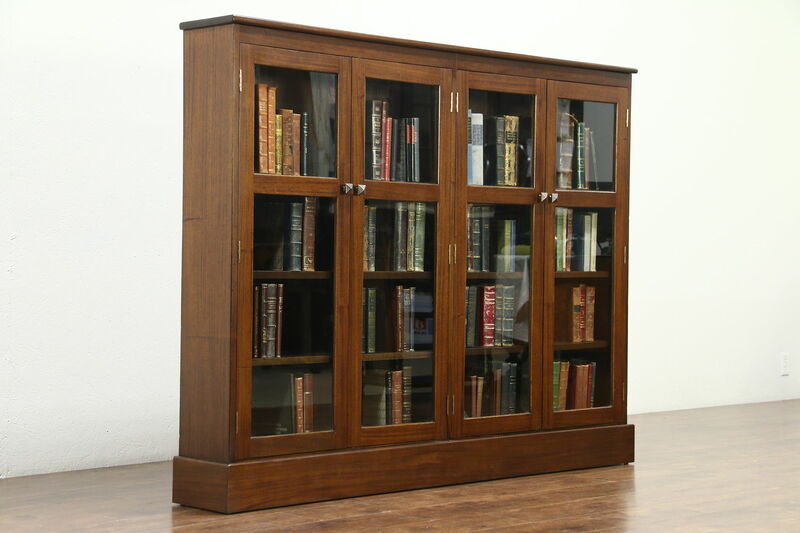 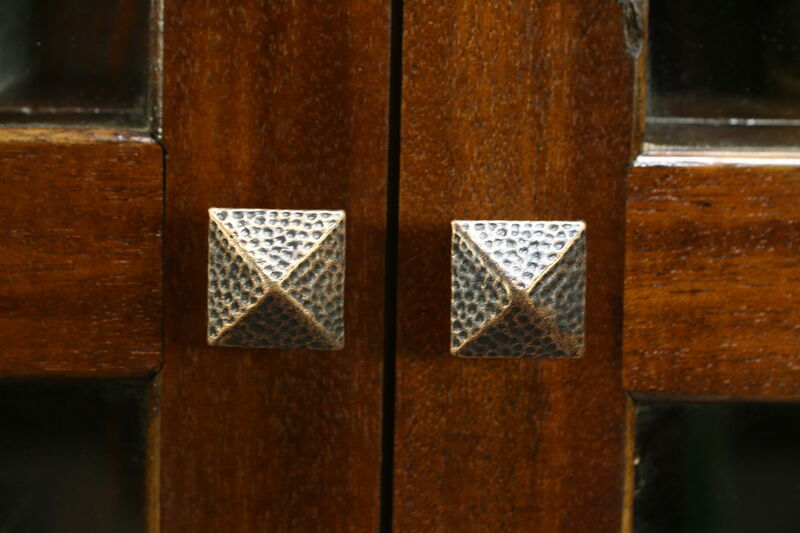 American made, this library furniture has knobs with a hammered bronze finish. 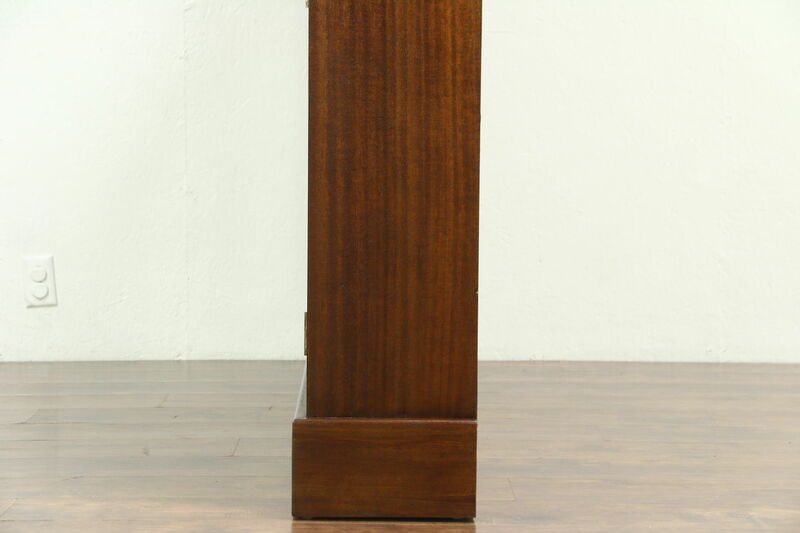 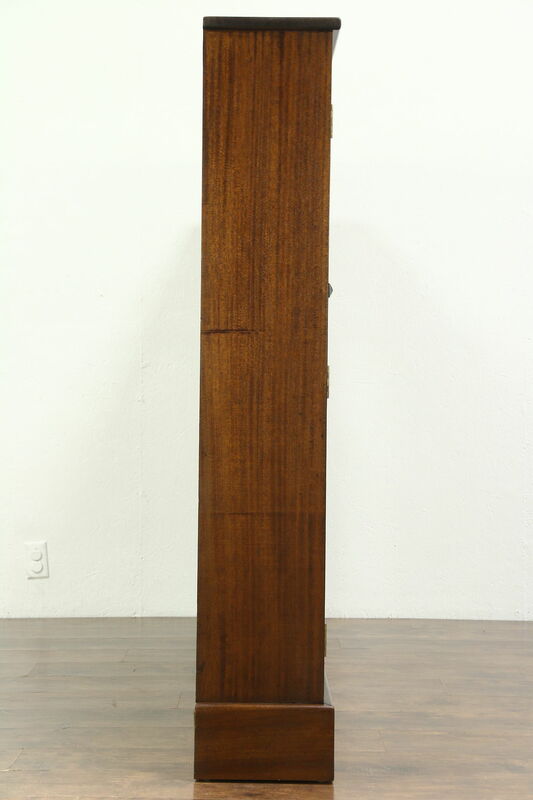 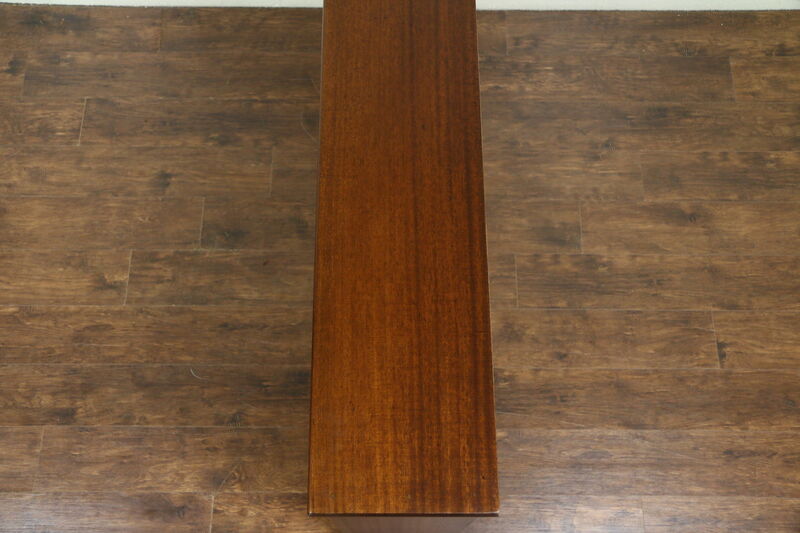 Measurements are 73 1/2" wide, 10 1/2" deep and 57" tall.